Tahini may be experiencing another moment in the culinary sun, if an informed prediction from Delish is realized in 2019 and beyond. Calling tahini the new peanut butter, Delish noted than an initial period of popularity earlier in the 2010s has led to an increased focus on the sesame spread as a component in desserts. Just as peanut butter straddles the line between sweet and savory depending on exact formulation and the other ingredients with which its combined, so can this somewhat similar and increasingly popular food. Boulder culinary school students should take a few minutes to learn more about a trend that is likely to spread even further into the mainstream as time goes on, potentially establishing a permanent and sizeable foothold. Tahini can be included in a variety of sweet and savory treats. Hearing the word tahini may bring to mind a number of things. Although it appears in a wide variety of recipes (like the sweet potato chickpea bowl incorporating tahini seen here), tahini has uneven recognition in the broader culinary landscape, due to it's relatively recent appearance in the spotlight. However, popularity and understanding of tahini is only likely to rise as time goes on. Let's briefly review the key attributes of this food and what makes it so popular. Tahini is, in the simplest terms used by Bon Appetit, ground, toasted sesame seeds. It's generally combined with just enough vegetable oil to create a spreadable, paste-type consistency, SF Gate highlighted. However, Bon Appetit said that description falls short of truly defining tahini. A strong final product will have a mildly nutty, creamy and savory flavor. It should be rich and encourage continued consumption – another parallel that can be drawn between tahini and peanut butter. However, it's also easy to end up with a poor result that is bitter, chalky or even astringent. Although the specific flavors aren't the same, those who have made a bad batch of peanut butter will recognize the similarities here as well. Although hummus is how many people were introduced to tahini, it has plenty of other applications. Its combination of healthy benefits, like lots of fiber and protein, relatively few calories, and enjoyable flavor make it an easy alternative to other nut butters in sweet and savory foods, as well as a unique addition to many dishes. The idea of adding peanut butter to the chickpea bowl recipe seen above is likely a non-starter for many, for example, but tahini fits in with ease. Tahini is a straightforward addition to a number of desserts, adding a nutty quality that blends with many different flavors. Delish highlighted ice cream bars, milkshakes and banana muffins as just a few examples. 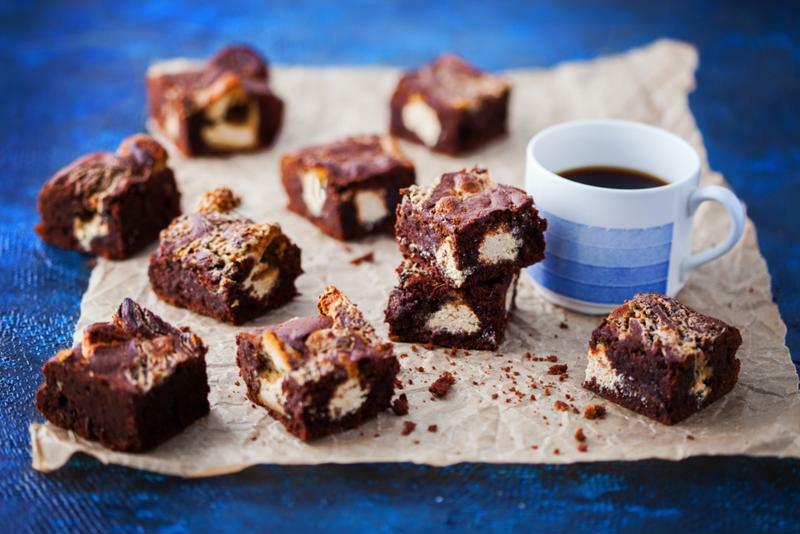 A number of baked treats can easily incorporate tahini, like brownies and cookies, both to add a lighter swirl contrasting against a darker background and for the additional flavor. Chocolate tahini, already made by some commercial producers, adds another element that steers this food toward the sweet side. A chocolate tahini, like its traditional cousin, can be incorporated into desserts and patries or used as a sweet but not overindulgent dip on its own. Tahini also has plenty of savory applications. Hummus is just one of the many dips and sauces that can use it as a key ingredient. SF Gate suggested a recipe similar to hummus but excluding the chickpeas – just tahini, lemon juice, salt, garlic and a fat, water or water-based sauce (like soy sauce) – to top fish, chicken, vegetables, rice and much more. Want to learn more about tahini, nut butters and how to combine a variety of flavors with both technical skill and artistic flourish? Check out our Boulder culinary school campus today!